Belorado is a beautiful little village located along the French Way. You will find one of the Camino’s hidden gems on the outskirts of the town. The Cave of Fuentemolinos is an awe inspiring natural phenomenon featuring flowing forms, stalagmites and stalactites. The trickling sound of water from the river that runs through the cave adds to the atmosphere of tranquillity inside it. Logroño is probably best known for La Rioja wine, a deep red that is synonymous with the region. Every year the locals here host a harvest festival where visitors can experience the ‘treading of the grapes’. 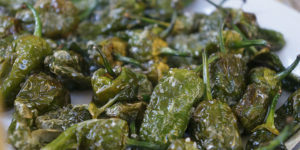 Logroño also boasts some of the best tapas available in Spain, and it’s extremely good value for money. The French Way is also the most sociable Camino route. You’ll encounter lots of other pilgrims from different nationalities and backgrounds. The magic of the Camino is sense of community that it creates amongst walkers. Be prepared to make new friends and share some laughs on your journey. The quaint village of O Cebreiro is surrounded by the mountain ranges of O Courel and Os Ancares. This tiny town is home to perfectly preserved pre-Roman dwellings known as ‘pallozas’. You will get a real feel for how Galicians lived here in centuries past. Make sure to visit the folk museum which is housed inside a renovated ‘palloza’. 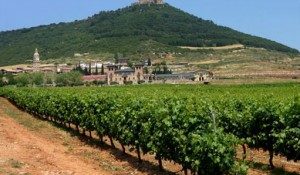 Bodegas Irache is a winery located just outside Estella that is over 100 years old. 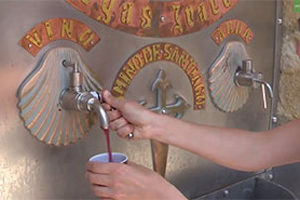 The company installed a wine fountain on one of the walls of the winery that dispenses free wine for pilgrims. 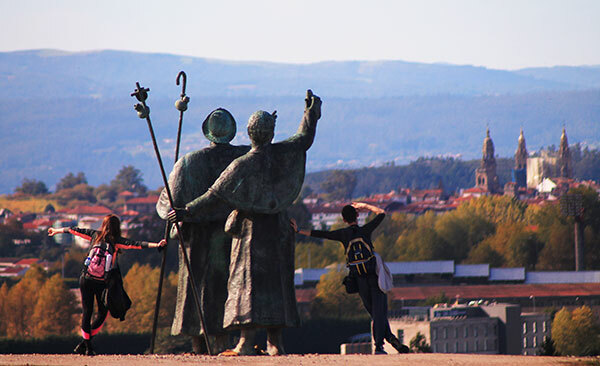 This simple act captures the spirit of the Camino. Be sure to get here early, as although 100 litres of wine are dispensed each day, it can still run out! The Templars Castle in Ponferrada was named by the Knights of Templar, who used it as a stronghold after they placed the town under protection in the 12th century. The magnificent structure is home to the Templar Library which includes work from none other than Leonardo Da Vinci amongst it’s impressive collection. As you reach the summit of Monte do Gozo you will spot the three spires of The Cathedral of Santiago de Compostela for the first time. This hill is located about an hour’s walk from the end of the Camino and ancient pilgrims would have yelped with exaltation here upon spotting the finish line of their pilgrimage. The Cathedral in Santiago de Compostella represents the final chapter of what has hopefully been a wonderful journey along the French Way. It is here that the remains of St James are said to be buried. The stunning Romanesque architecture is world famous, and the interior of the building is breath taking. 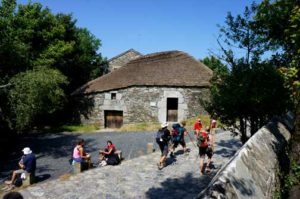 If you have completed the Camino as a pilgrim, what better way to celebrate than by learning more about the ancient trail the pilgrims whose footsteps you followed along the way. 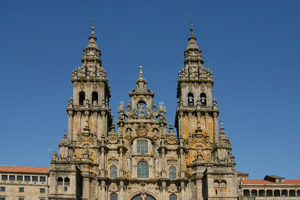 Here you will also learn about St James and the importance of the Camino in the development of the Santiago. 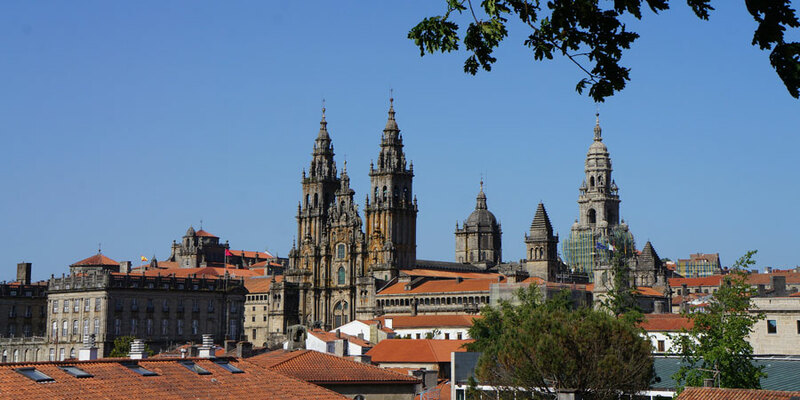 You’ll need to walk over 100km or cycle over 200km in order to claim your pilgrim certificate when you reach Santiago de Compostela. This document is a commemoration of the journey you have completed. Don’t forget you’ll need to get a pilgrim passport and have it stamped twice every day in order to get your ‘Compostela’. 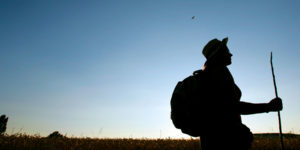 For more information about the Camino de Santiago routes or to book your Camino adventure, contact our travel specialists.